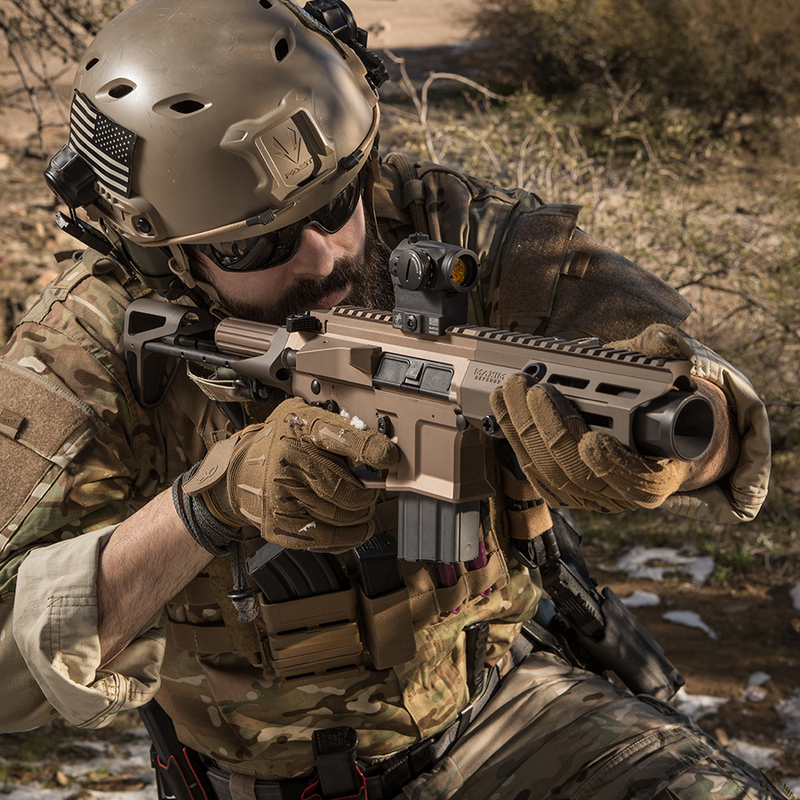 Born from the SOCOM PDW solicitation, the NEW Maxim Defense PDX™ is designed to handle the fierce demands of the Tier 1 community. The PDX™ dominates close quarter encounters and achieves maximum energy on target. At just 18.75” in overall length, the PDX™ delivers groundbreaking power and performance in a sub compact platform. At the heart of the PDX™ is our newly developed Maxim SCW™ stock system. This patent-pending system cuts down the length of the stock to 4”. The integrated BCG with interchangeable buffer weights gives you maximum performance and versatility without sacrificing form and functionality. The PDX™ is also equipped with newly invented Maxim HATEBRAKE™ muzzle booster. This patent-pending device significantly reduces recoil, decreases the flash signature, pushes gasses and concussion wave downrange away from the operator and improves overall performance in short barrel pistols and rifles.